Kari Simpson and supporters of Culture Guard rallied in a Port Moody Park, in defiance of city officials. The Calgary-based Justice Centre – which describes itself as “a voice for freedom in Canada’s courtrooms” – has been paying quite a lot of attention to British Columbia of late. Following is a brief overview of some of their recently-completed and ongoing cases in this area, all of which have considerable Christian involvement, though they may not be specifically Christian. 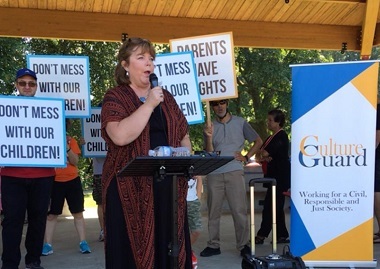 The Justice Centre supported the right of Culture Guard – best known over the past year for its opposition to SOGI 123 (covered here on Church for Vancouver) – and its supporters and allies to meet in a Port Moody park last summer. The Justice Centre has secured a victory for individual freedoms in British Columbia, after challenging an Orwellian ticket issued by the City of Port Moody for a “gather[ing] without permission” in one of the City’s parks. Two days prior to the rally, the City emailed Ms. Markling to state that it was revoking the permit because “the City does not rent our spaces to groups supporting or opposing an issue.” This decision followed an email exchange between City officials who were concerned about the rally being “political in nature.” The City further stated that proceeding with the Rally, whether at Rocky Point Park or anywhere else in the city, would contravene unspecified provisions of the City’s Community Facilities Rules and Regulations By-law. Aware of their Charter rights to freedom of expression and freedom of peaceful assembly, Ms. Markling and Culture Guard proceeded to hold the event as planned on July 14. . . . The City subsequently issued a By-law ticket and charged Ms. Markling for “gather[ing] without permission.” Ms. Markling reached out to the Justice Centre to help challenge the ticket. . . . Protesters against Meghan Murphy; behind them people line up to attend her event. The Justice Centre also reminded the Library that, as a government entity, the Library has a duty of neutrality, and its interference with the event infringed the Charter rights of both speakers and listeners. After some discussion between the parties’ legal counsel, the Library agreed that the event would proceed. 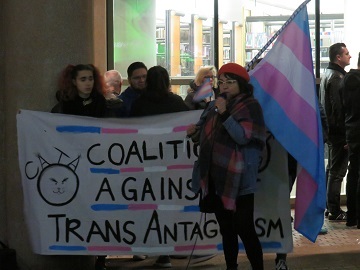 Last night, ticket holders stood in a security line surrounded by opponents shouting and chanting against the exercise of the basic constitutional right to hold and express diverse opinions regarding women’s rights and transgenderism. I was outside the event and can confirm that it was peaceful, though some of the protesters did voice some rather unpleasant comments. Go here for the full Justice Centre statement. The Justice Centre has filed a petition with the Supreme Court of British Columbia [December 28, 2018] on behalf of a local church, after the City of New Westminster cancelled the church’s booking to host a conference at the City-owned Anvil Centre. . . .
Ms. Hughes did not explain how or why any of the speakers at the conference caused Grace Chapel to “promote racism, hate, violence, censorship, crime or other unethical pursuits,” or how it is possible that this speaker’s “views” or “perspective” could contravene the Anvil Centre Booking Policy. 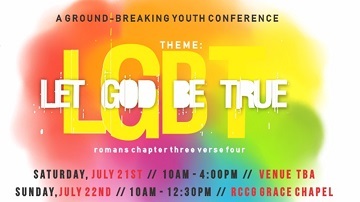 Grace Chapel’s court petition seeks to quash the City’s decision, and seeks a Court declaration that the decision to cancel Grace Chapel’s contract was procedurally unfair, biased, unreasonable and unjustifiably infringed the freedoms of conscience, religion, thought, belief, opinion, expression and association and right to be free from discrimination on the basis of religion as protected by sections 2(a), 2(b), 2(d) and section 15(1) of the Canadian Charter of Rights and Freedoms. This court application further seeks a Court order prohibiting the City from denying the use of its facilities to this church on the basis of the ideas, views, opinions, perspectives, values or beliefs of Grace Chapel or of speakers selected by the Grace Chapel. 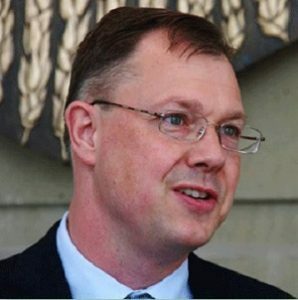 From December 11 – 17, the BC Human Rights Tribunal heard Morgane Oger’s complaint that Bill Whatcott violated the hate speech provisions in the BC Human Rights Code when he published and distributed a flyer urging voters to vote against her on the basis of her gender identity. The Justice Centre will make oral submissions to the BC Human Rights Tribunal today, in defence of freedom of expression, as an intervenor in the hearing of Oger v. Whatcott (No. 16408), which is expected to run throughout the week. In his flyers, Whatcott asserted that NDP candidate Morgane Oger was a male, and argued that “[t]hose who promote falsehoods like the NDP and BC’s major media . . . do so to their eternal peril.” . . .
John Carpay is president of the Justice Centre. John Carpay, president of the Justice Centre, wrote a comment for The Interim January 18, explaining the principle that ties together what can seem to be very disparate cases. 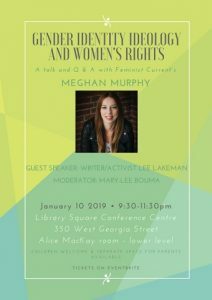 Politically and philosophically, leading Canadian feminist Meghan Murphy and self-described “Christian truth activist” William Whatcott have almost nothing in common. Yet both have been taken to task for expressing the opinion that a biological male is not a woman and cannot be a woman. . . . When hurt feelings are given greater weight than the pursuit of truth, it becomes impossible to engage in the essential democratic discourse and debate that is necessary in order for truth to emerge from the clash of ideas. Freedom of expression is especially important during an election campaign. The public have a right to hear differing views on candidates and political parties. Canada’s Charter respects the dignity of Oger, Whatcott, and all Canadians by protecting each person’s right to express opinions peacefully, run for public office, and not be discriminated against by government. For the state to compel people to say things they believe to be false, under threat of penalty, is a violation of human dignity. Ultimately, Canadians will have to decide what matters more: the right to express your opinions in a peaceful manner, including unpopular and offensive ideas, or a legal right to be free from hurt feelings. We can’t have both.